Do You Support an Open Internet? The FCC votes on removing Net Neutrality protections in mid-December. Do you rely on the Internet for your livelihood? Your entertainment? This is how things will change if this vote goes through. 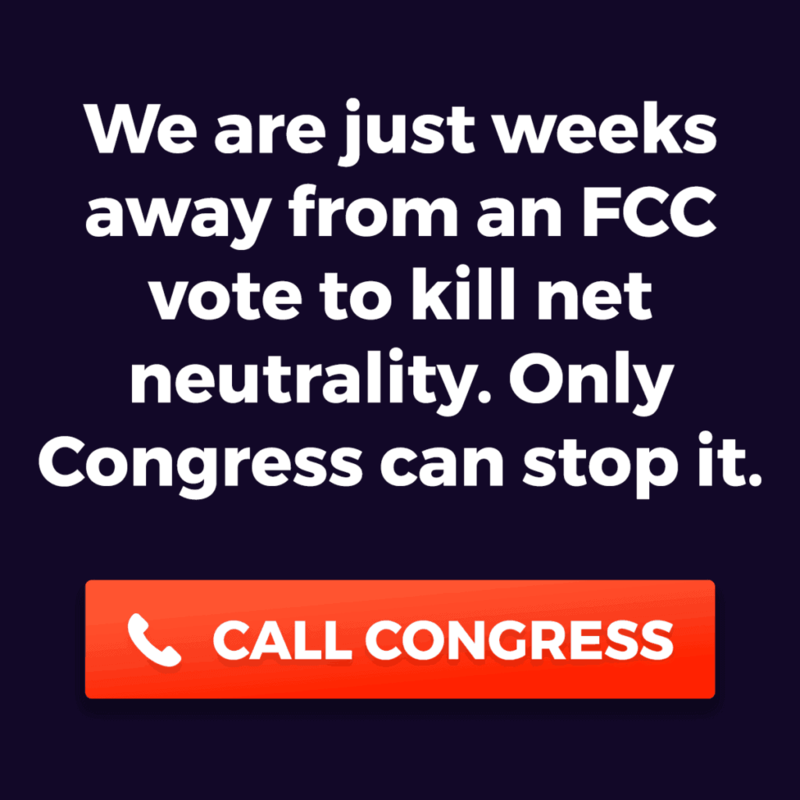 Please, if you are concerned at all by this, learn how to contact your representatives and ask them to stand up for a fair and open Internet.